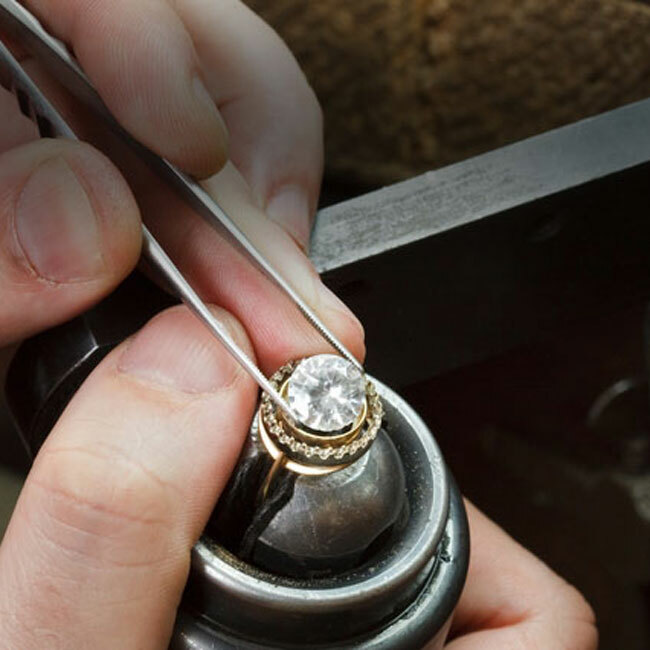 The first step to making a Custom Design Engagement Ring is choosing your center diamond shape. Round Brilliant Diamonds are the most popular choice due to their brilliance and fire. Princess Cut Diamonds feature a contemporary look that compliments classic and geometric settings, and are second in popularity, offering similar brilliance of a Round Brilliant Diamond. Cushion Cut Diamonds are perfect for vintage-inspired, hand engraved or filigree settings, and Radiant Cut Diamonds make a nice option for those who prefer a rectangular shape. Asscher Cut Diamonds and Emerald Cut Diamonds are step-cut, for a sleek, elegant appearance. They emit less fire or sparkle than Round Brilliant Diamonds but are more transparent. Marquise Cut Diamonds, Oval Cut Diamonds, and Pear-Shaped Cut Diamonds are more distinctive shapes, and help fingers look long and slender due to their elongated appearance. 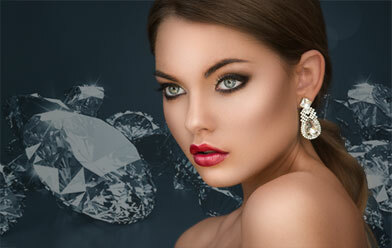 Heart-Shaped Diamonds are the symbol of love and Marquise Shaped Cut or Pear Shaped Cut Diamonds have a larger look. Rock N Gold Creations specializes in GIA Certified Diamonds, AGS Certified Diamonds, Fancy Shaped Diamonds & Fancy Colored Diamonds. 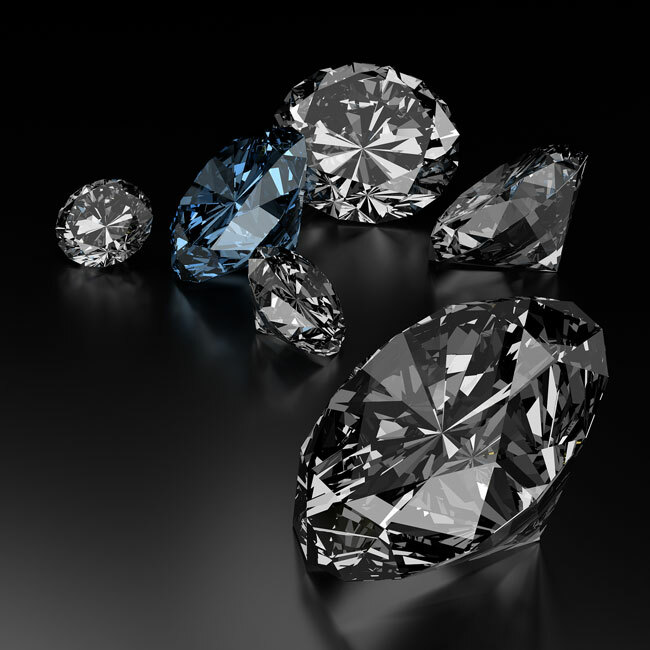 Many shapes, cuts & colors available such as Ideal Cut Diamonds, Premium Cut Diamonds, Round Brilliant Cut Diamonds, Princess Cut Diamonds, Oval Cut Diamonds, Pear-Shaped Cut Diamonds, Emerald Cut Diamonds, Asscher Cut Diamonds, Cushion Cut Diamonds, Heart Shaped Cut Diamonds, Yellow Diamonds, Pink Diamonds and Blue Diamonds.